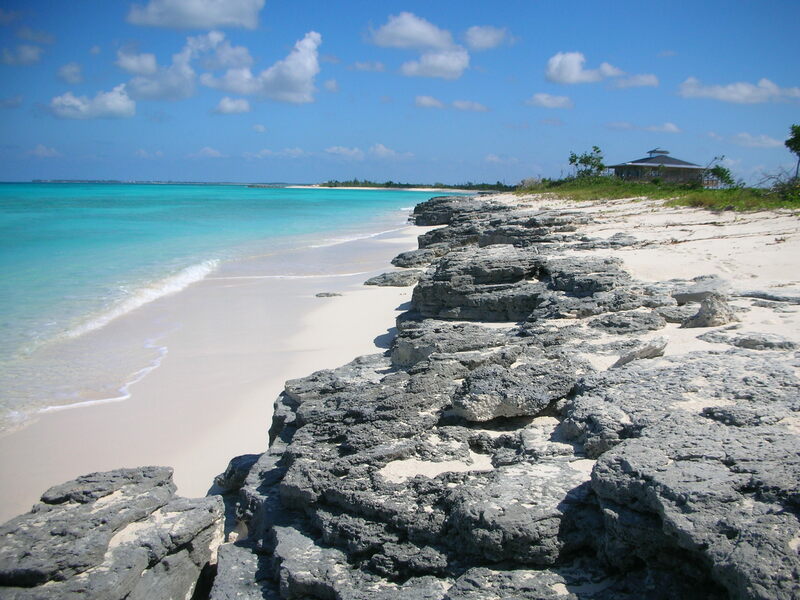 Go to San Salvador Real Estate for sale to find homes for sale on San Salvador, oceanfront lots for sale on San Salvador Hill top land for sale on San Salvador Bahamas. 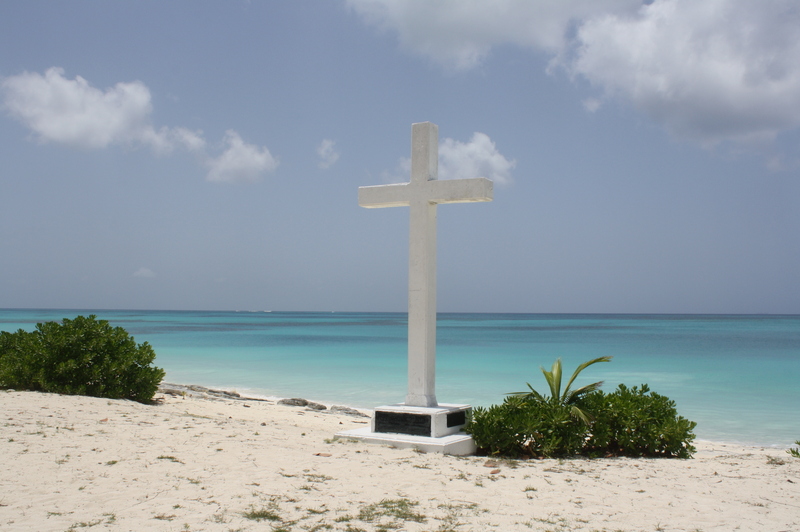 This site is all about San Salvador, a little island in the Bahamas. About 180 miles south-east of Nassau, San Salvador is roughly 12 miles long and 5 miles wide. The most well know fact about this island is that Christopher Columbus discovered San Salvador in 1492. Other than that San Salvador has maybe 30 more tourists per week living in rental homes or condos and the Riding Rock hotel which is famous for diving or the Guanahani resort that is famous for kite surfing and 30 something families visiting during the year that own property on San Salvador or people come on their boat and spend time here in San Salvador. There is also the Gerace research centre which host students from the US for a few weeks at the time. So, with only a hand full of people you can probably already imagine that the beautiful beaches of the Island are not only breathtaking beautiful but also deserted. You can walk for hours and not see another soul. People coming on vacation to San Salvador usually seek the peace and quiet and the beauty of the crystal clear turquoise and aqua waters. They go diving or fishing or swimming or snorkeling or boating but basically every activity involves the water. We have a few restaurants on the island and a few bars and a festival once in a while and some beautiful sites to see but San Salvador is not your typical tourist destination. This island is all about relaxing and letting go and seeing the incredible beauty this Island has to offer. 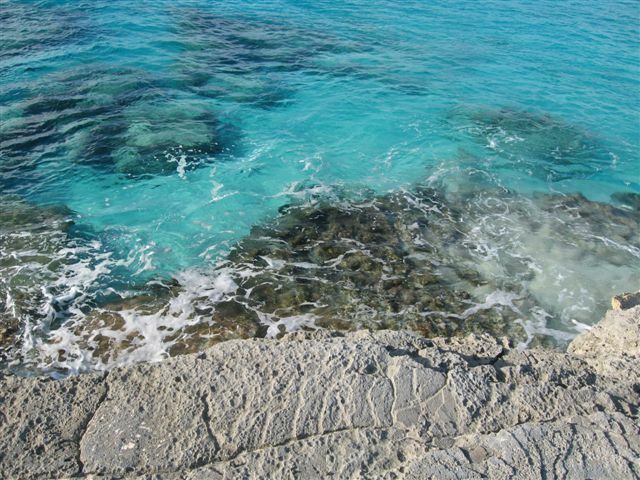 Some people call San Salvador the “Hidden gem of the Bahamas”, I like to refer to it as “The forgotten Island” (there is a book with this title) but most locals call it “The Rock” because it really is a rock sticking out of the water. Going shopping for milk usually takes me a few hours because I have to stop at Stanley’s bar for a drink or soda, then I talk to Edna for a little bit (Stanley’s mother) and before I leave some other people that I know show up and you have a little chat and once I am on the road again I might run into a neighbor and exchange some words and at the grocery store I always meet people that I know and we joke around a little and and and. Life is different here !!! Please check out the picture section and read some of my posts/ stories to get a better understanding of this very special place. Hope you enjoy all the information about San Salvador. San Salvador is about 12 miles long and 5 miles wide. About 180 Miles south east of Nassau. 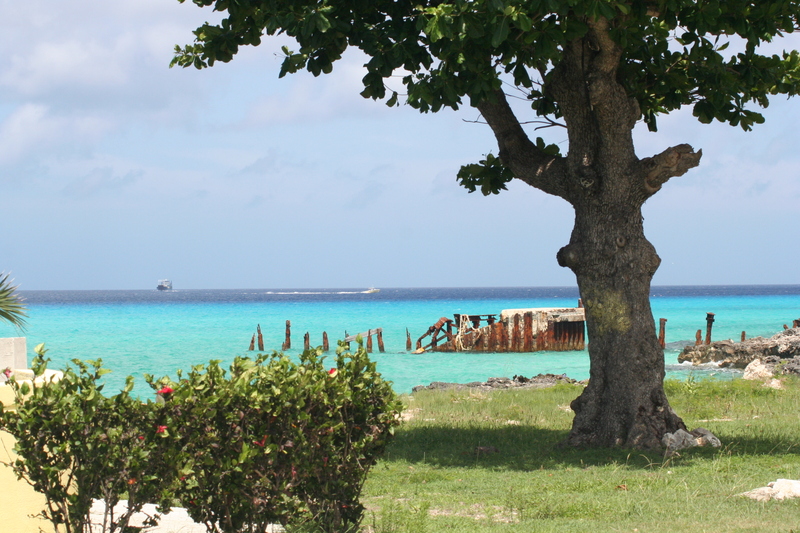 1200 to 1500 Bahamians live on the Island. Water and Electricity is available in most parts. 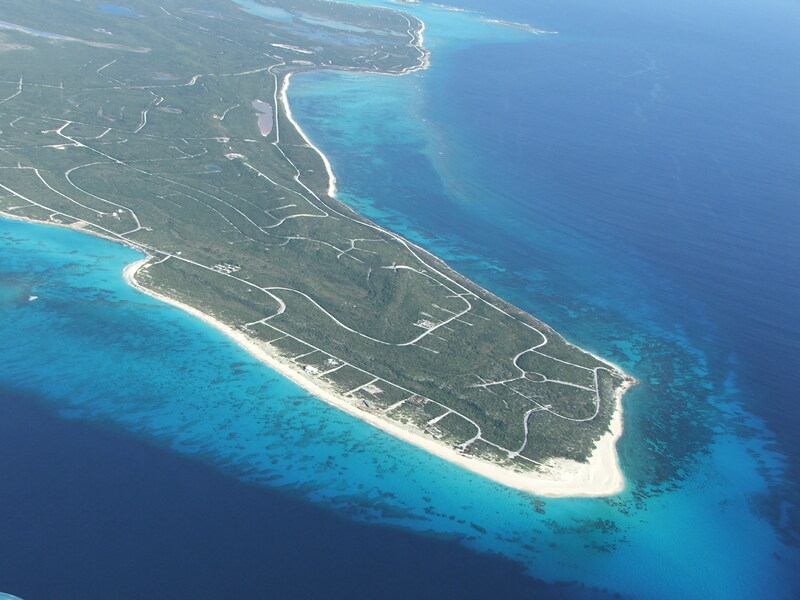 Airport of San Sal has an 8000 feet runway, one of the longest airstrips in the Bahamas. 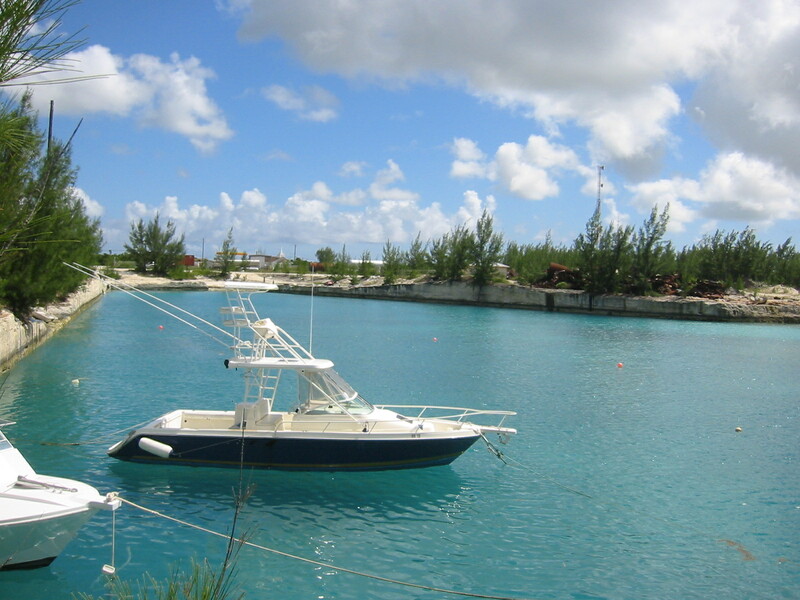 Daily flights from Nassau Weekly charter flight from Fort Lauderdale and weekly non stop charter flights from Paris – France and Montreal – Canada come to San Sal in the Bahamas. Club Med operates a beautiful resort on the island of San Salvador and there is another little local hotel called the Riding Rock Inn and a beautiful kite surfing resort named Guanahani. Most roads and infrastructure on San Salvador already in place. San Salvador is famous for its beautiful diving spots, great fishing, crystal clear waters, beautiful beaches and incredible scenery. It is a very, very peaceful and friendly place. Some scholars believe that San Salvador Bahamas was the first stop for Columbus in 1492, thought others dispute it. Either way, San Salvador Bahamas has a number of attractions for tourists looking to escape the modern world and sink into the soft white sands of a quiet Bahamas island. 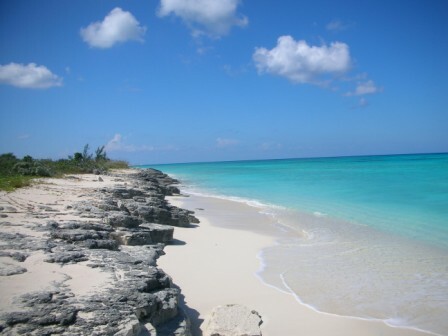 San Salvador Bahamas is one of the eastern-most islands in the Bahamas, located near Long Island and Rum Cay. To reach San Salvador you can schedule boat passages or take a flight to San Salvador. A flight to San Salvador can be booked from Miami, Nassau, or sometimes even New York during the busy winter season. If you don´t want to take a flight to San Salvador, you do have the option of traveling by boat from Nassau, but the trip is 12 hours and not by any means a luxury cruise service. A flight to San Salvador is largely the more popular choice. One of the major draws to San Salvador Island is the miles of empty beaches that seem to be everywhere. Tourism in San Salvador centers on these beaches, and San Salvador tours for snorkeling or scuba diving are quite popular. If you rent a car or a bike to get around the island, you will want to be sure and head out to one of the many beaches on the island for at least one afternoon. Often times you will have the beach to yourself, a major advantage to tourism in San Salvador. If you do take such a trip just remember to bring your own food, water, sun block and other supplies as you won´t find any rest stops along the way. Tours of the Island are popular. The most notable sites on a San Salvador tour of the island include the Holy Saviour Roman Catholic Church, the New World Museum, and Cockburn Town. Cockburn Town is the capital of San Salvador and a small village named after its first settler, George Cockburn. Events and festivals for the island happen in Cockburn Town, including a large celebration on Columbus Day. An enormous almond tree is also a noteworthy site in the town of Cockburn. You won´t find any notable shopping on San Salvador Island, and for many tourists seeking a retreat from the busy resorts this is an advantage. Two excellent restaurants can be found on the small island. The Rock Inn Restaurant and the Three Ships Restaurant have both been operating on the island for years and serve local cuisine. There are also multiple restaurants located at the large Club Med resort on the island, and you do not need to be a hotel guest to dine there. To get around the island of San Salvador Bahamas you will likely be fine without a car. The two major hotels on the island both rent bicycles out to guests for the day, and this is probably the most enjoyable way to visit the beaches and other sites. Tourism in San Salvador tends to be a relaxed arrangement and you won´t see many cars on the island at all. If you decide to rent a car you can do so at the Riding Rock Inn Resort and Marina. San Salvador used to be named Guanahani by the Arawak people when the came over from South America between 1000 and 1300 A.D. Christopher Columbus landed on October 12, 1492 on an island in the Caribbean´s, which historians agree that he landed on the island of San Salvador. The meaning of the name he bestowed on the Island is Holy Savior. The journal entry he made about San Salvador is “the beauty of these islands surpasses that of any other and as much as the day surpasses the night in splendour”. The Arawak didn´t share his sentiments, who were enslaved by the Spanish to work in the mines of Cuba and Haiti. Traces of their culture were found on a few archaeological sites in Pigeon Creek on San Salvador. The Bahamas where controlled by the British in the 16th century due to the strategic value near the Spanish colonies. The Bahamas were declared a “possession” of the British crown in 1629. San Salvador was used as a stronghold by the pirate John Watling in the beginning of about 1680. Watling´s Castle is a site that still exists on San Salvador. The British shipped African slaves to the Bahamas and San Salvador, to work on the cotton plantations on the Islands. In 1834 the British Crown abolished slavery and the islands shifted, leaving the population of the Bahamas at a bare subsistence level. 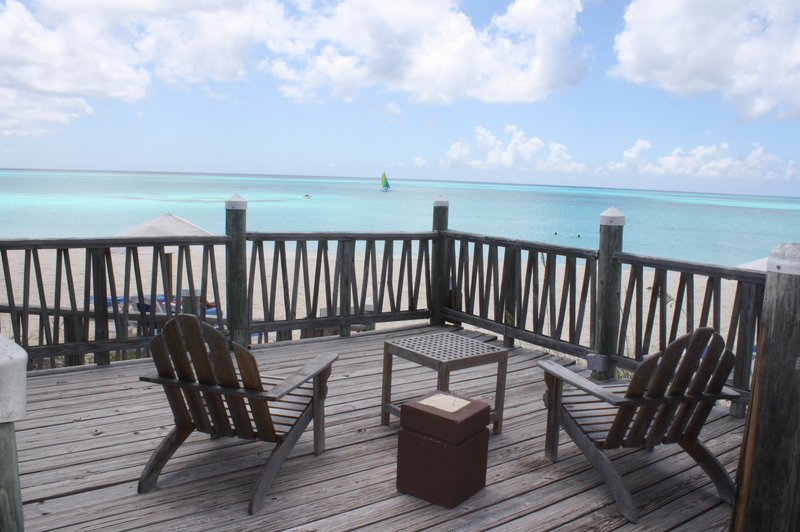 In 1926 the Bahamians changed the name of the Island from Watling´s Island to San Salvador. The Bahamian climate is very pleasant year around. The hurricane season lasts from July to November. A great portion of the island´s water supply is provided through those tropical storms. San Salvador has a significant amount of freshwater and sediment of interior lakes. In 1999 hurricane Floyd caused extensive damage to some of the Island. During the winter time the temperature is still pleasantly warm and dry. San Salvador averages only 101 cm of annual rainfall. The rainy season lasts from June to December. October is known to be the wettest month on San Salvador. Christopher Columbus was the first to record the existence of hyper saline lakes that dominate the interior of San Salvador.Bahamas. Cockburn Town (“Ko-burn”) is the largest settlement located on the west coast of the island of San Salvador, named after Sir Francis Cockburn, the British governor of the Bahamas in 1840. San Salvador´s Cockburn´s Town provides the most services of the island such as mail, telephone service and electricity. Is locally known as “Blackbeard´s Castle” because he might have held court there at one time. The ruins of that plantation can still be seen on San Salvador and include a great house, a prison and a kitchen, and are the most famous of the Bahamian Islands. The Lighthouse on San Salvador was built in 1887 and has a visibility of 19 miles. It is kerosene powered and being refueled every 2 hours and 15 minutes. It flashes every 25 seconds. There are only 10 kerosene fueled light houses in the world and 4 of them are located in the Bahamas. Stands on a point 85 ft above sea level on the south end of the island of San Salvador with views of both sides of the island. The plantation may have been owned by the pirate John Watling, after whom it was named. It was inhabited by Loyalist plantation owners in the 19th century. Ruins of that plantation including a main house, a cookhouse, and slave quarters can still be seen in San Salvador, Bahamas. Anne Hensel Broker of South Beaches Real Estate Professionals and referral agent for McCarroll Real Estate Bahamas. All Listins by McCarroll.